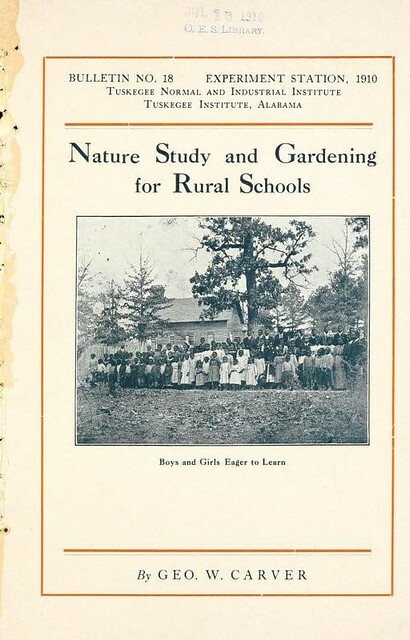 It’s a “Nature Study and Gardening for Rural Schools. Tuskegee Institute. Experiment Station Bulletin, Number 18. (Photo credit: USDA-NAL). 1. The School Garden: focusing on scientific aspects of plants, food production, marketing food products, engaging with the natural world, being outdoors and taking responsibility for your school garden. 2. Subsistence Homesteads: a Federal housing program created in 1933 as a response to the Great Depression aimed at improving the living conditions of people coming from overcrowded urban centers, while simultaneously giving them a new opportunity to experience small-scale farming and home ownership. 3. Victory Gardens and Farms: initiatives carried out to increase the supply and quality of fresh food for the domestic U.S. population during World War II. 1. Raise vegetables on one of the plots set apart for us to garden. 2. Follow as best we can the direction of our teacher. 3. Share equally in the expense, labor and profits of the garden. NAL is part of USDA’s Agricultural Research Service (ARS) and serves as an extensive resource for agricultural information. For more information on this and other exhibits, please visit the NAL website at www.nal.usda.gov/exhibits. 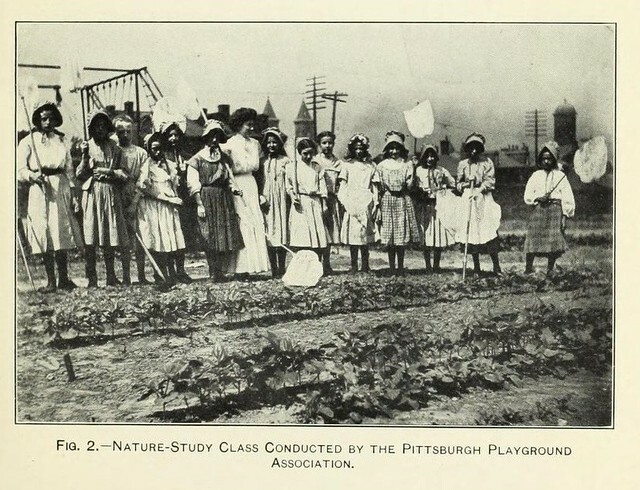 Some Types of Children's Garden Work. U.S. Department of Agriculture. Office of Experiment Stations Bulletin, Number 252, Plate I. (Photo credit: USDA-NAL).